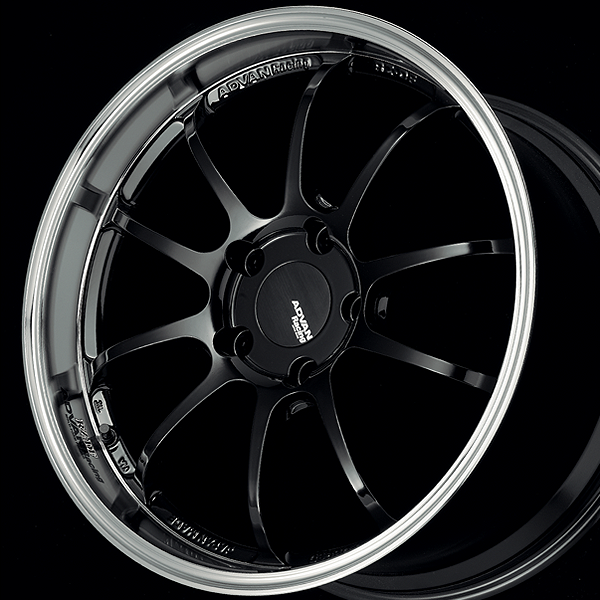 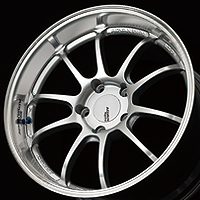 ADVAN Racing RZ-DF is based on a crossover fusion of twin 5-spoke and uniform 10-spoke designs, and creates something completely new by matching that fusion with deep rims. 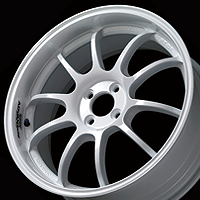 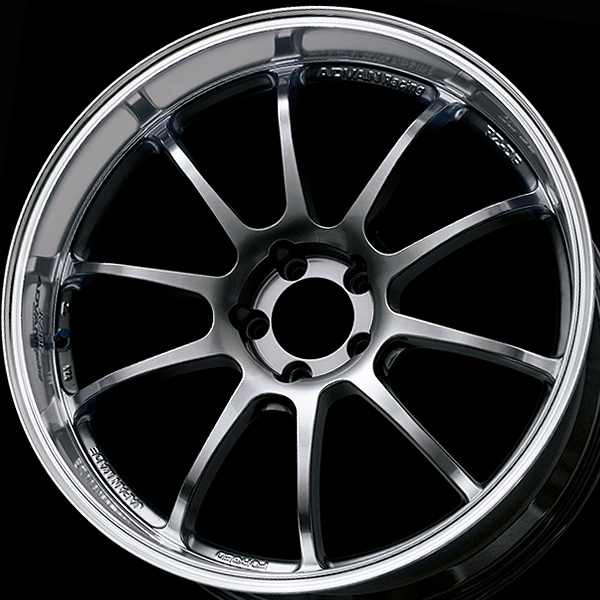 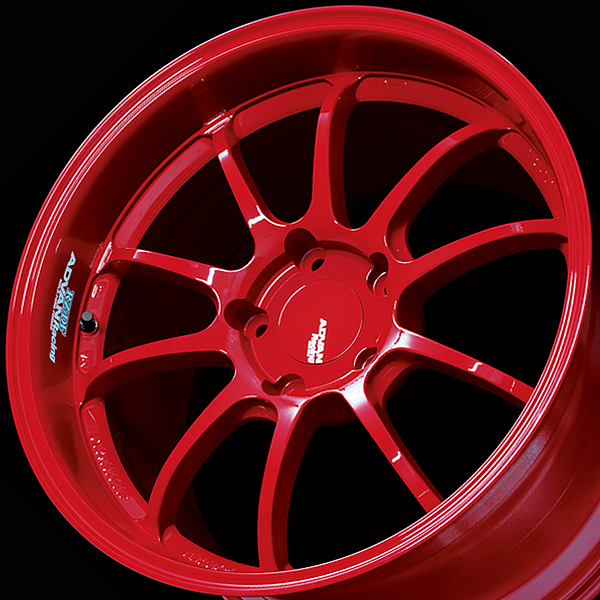 The ADVAN Racing brand's first forged wheel. 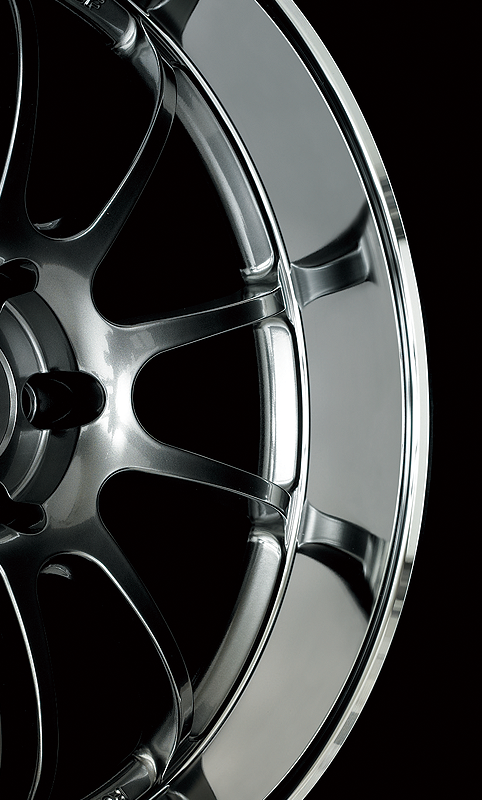 One-piece form-forged wheels. 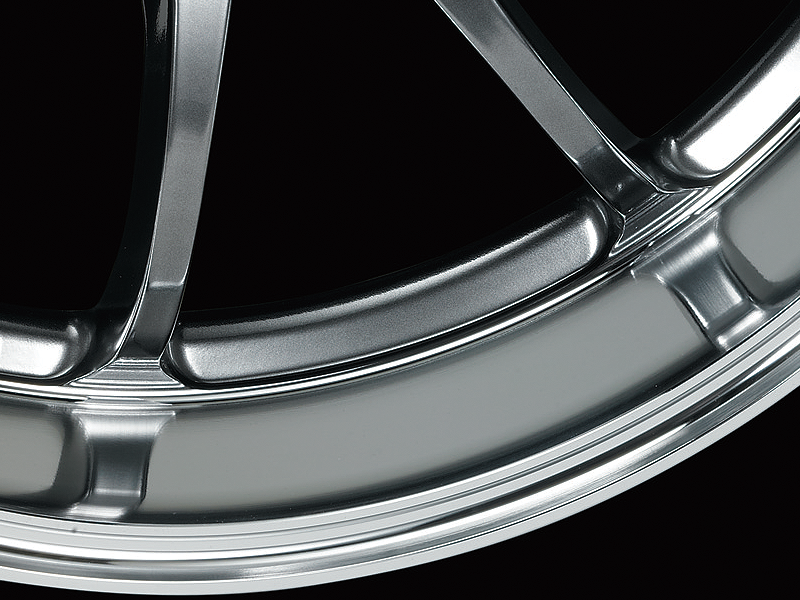 A special spinning method used on the outer rim increases both strength and specularity. 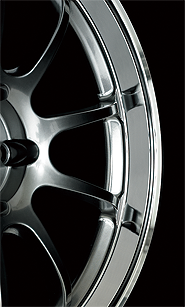 The size and inset are carefully calculated to match the car's fender and caliper clearance. Standard, Medium, and Extra-deep rim models available. 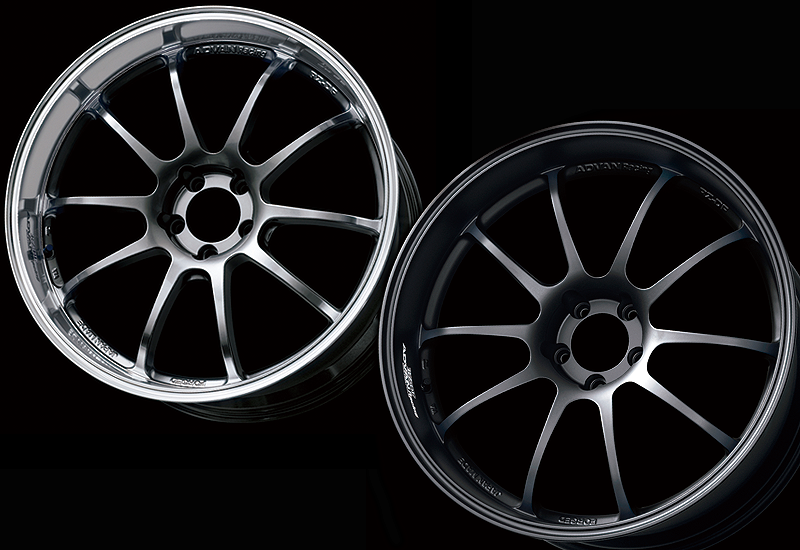 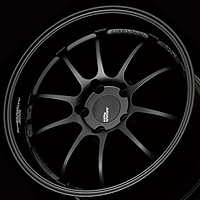 Hyper Paints Machining & Racing Hyper Black (except Porsche size) and Machining & Racing Hyper Silver (Porsche size only) feature diamond-cut rims. 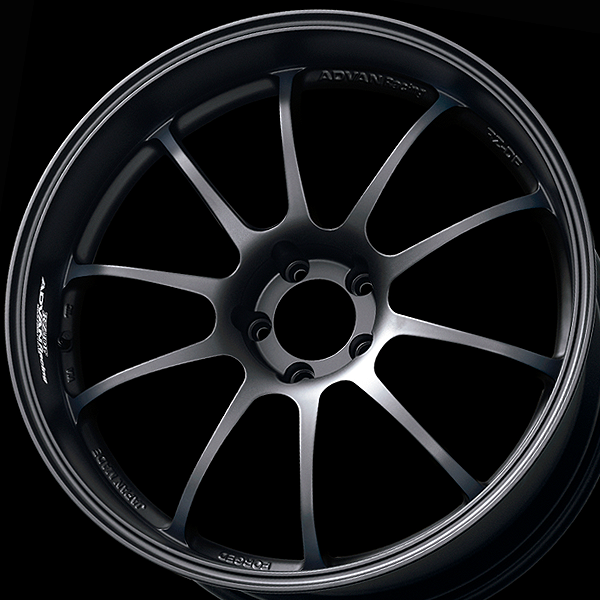 Full matte black rounds out the three colors available. 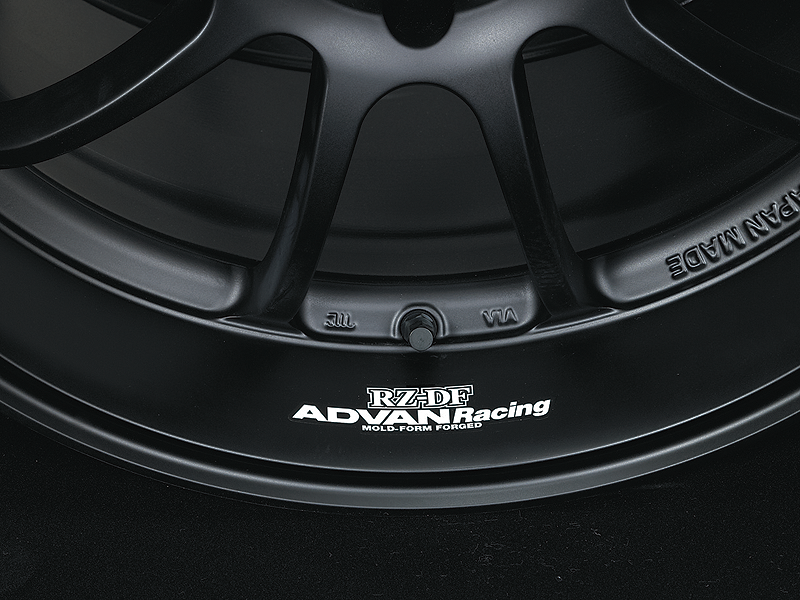 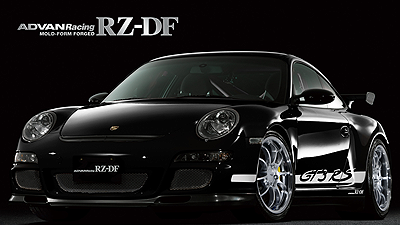 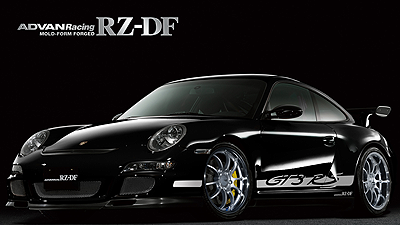 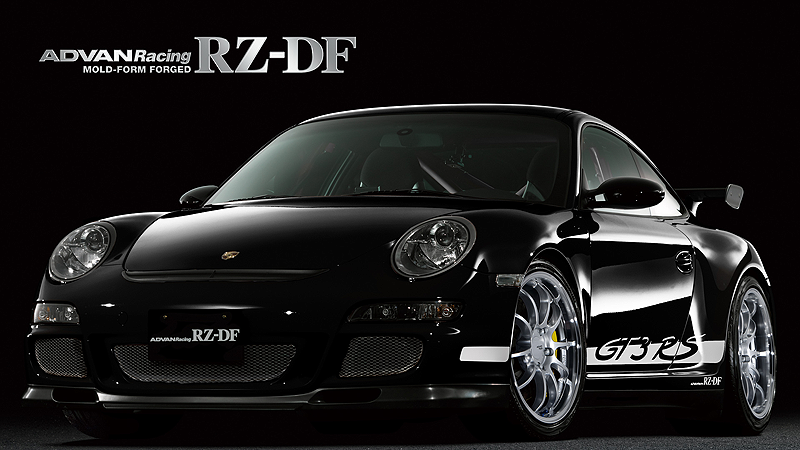 ADVAN Racing RZ-DF logo stickers (white on matte black, deep blue logo on machining type) come with all wheels. 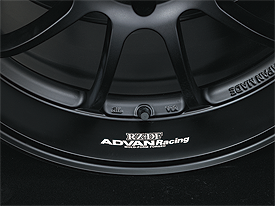 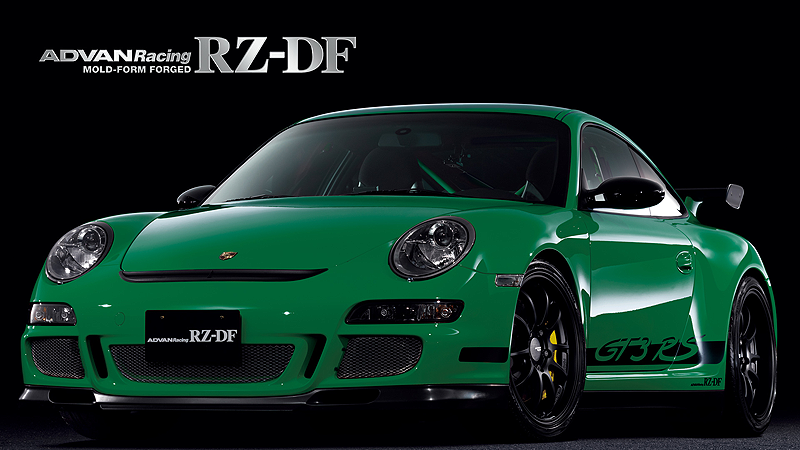 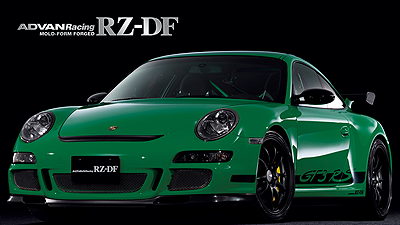 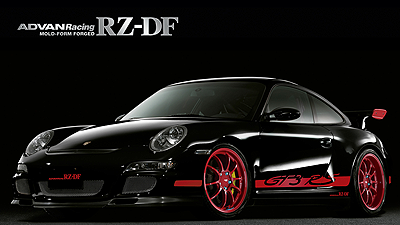 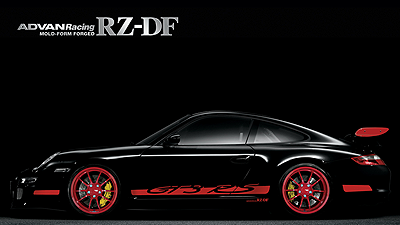 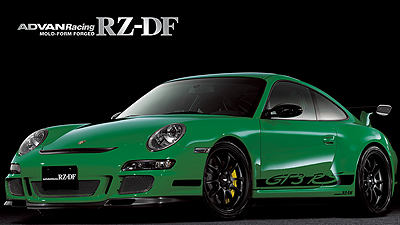 Every size comes with an ADVAN Racing RZ-DF logo sticker. Putting the sticker on the rim near the valve, helps raise the presence of these wheels. 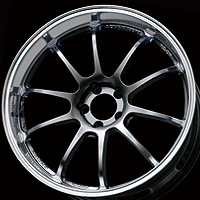 For the diamond cut rims, the sticker features a dark blue logotype with white border color. 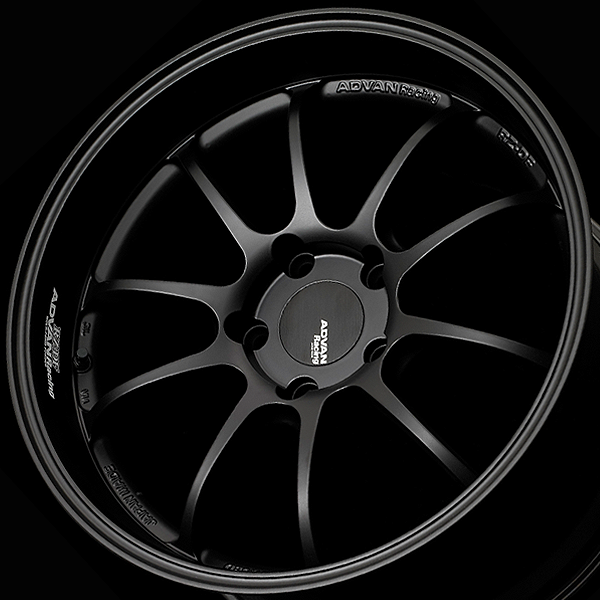 Matte black wheels come with white logotype stickers. The addition of a special spinning process to the outer rim forming enables Diamond Cut Finish machining to bring out the brilliance of the forged rim. 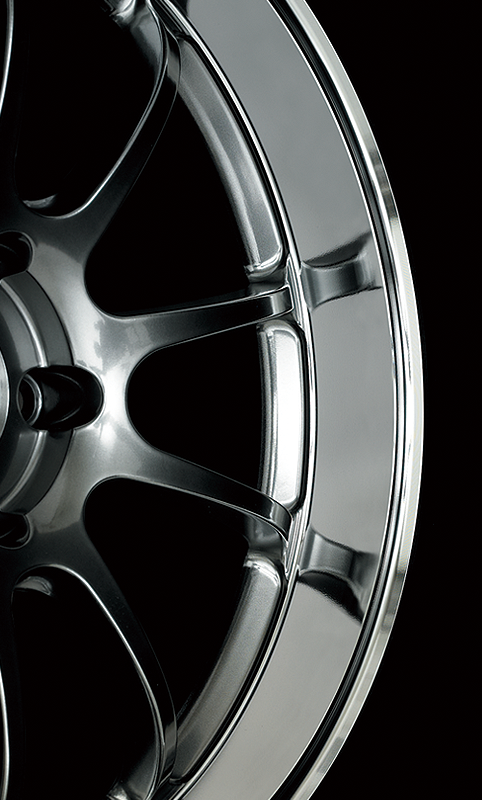 Combined with the extra-deep design, this creates a wheel with unmatched beauty and appeal. 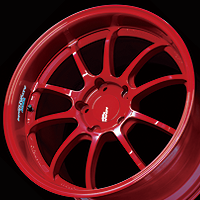 ＊marks Sales will be limited to inventory on hand. 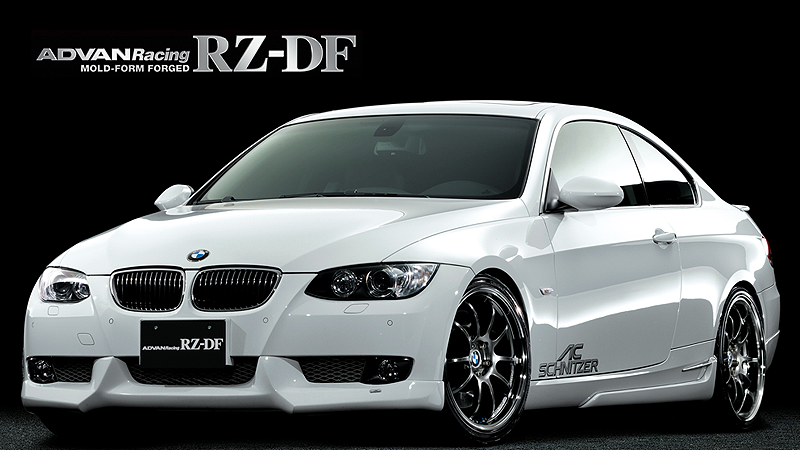 IGenuine BMW ornament rings are optional. 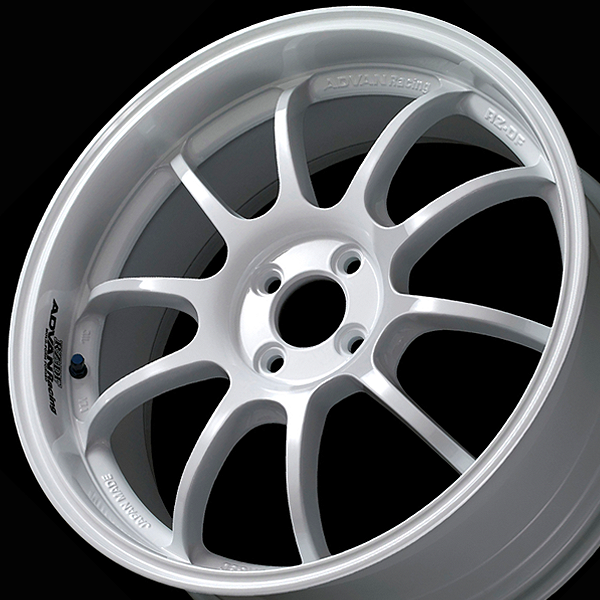 Genuine VW, Audi ornament rings are optional.ADVAN Racing center caps (φ63) are optional. 60° taper installation design. 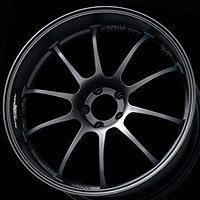 ADVAN Racing bolts are optional.